Wat is dit voor site? Wij zoeken de goedkoopste boeken op internet. Survival of Little Seed Canary Grass Seeds in Rice-Wheat Systemsvonden we het goedkoopst op Bol.com voor €61.50. We hebben gezocht in nieuwe en tweedehands boeken. Rechtsonderaan de pagina kan je het boek direct bestellen	via Bol	.com. 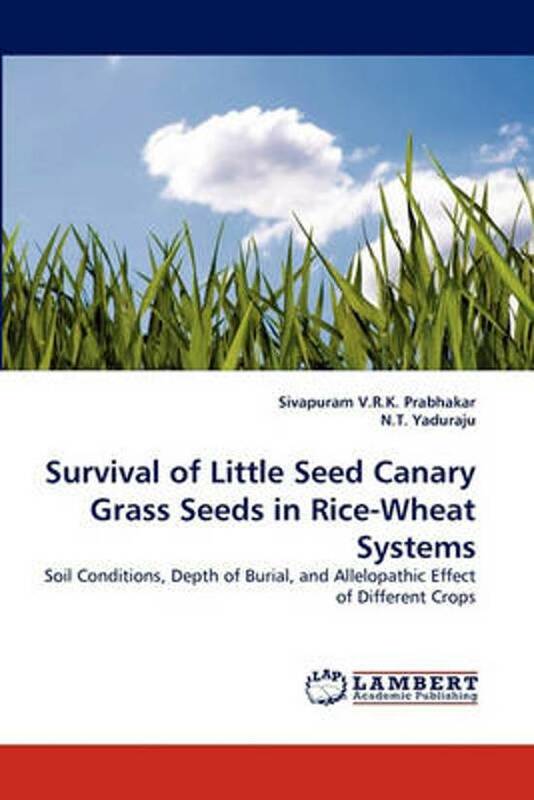 Survival of Little Seed Canary Grass: The little seed canary grass is one of the notorious weeds in the rice-wheat cropping systems in the Indo-Gangetic Plains and elsewhere. The management practices advised to farmers have often failed to control this weed. With significant impact on wheat yields, the weed has become news in the popular and scientific media. In order to design and implement an effective weed management regime, it is very important that the biology of the weed is well understood. In this respect, the survival mechanism of the little seed canary grass and its seed is studied in the rice- wheat cropping conditions where alternative drying and wetting conditions prevail. Designed to understand the seed survival and germination patterns under different soil and cropping conditions, this study, has provided valuable insights into the seed survival conditions for the little seed canary grass and could provide a means to design better crop management practices. This book will be useful for students, researchers and practitioners who are interested in the subject of weed management in general and in rice-wheat cropping systems in specific.